When it’s time for your child to start school, there are a few things you can do to prepare for starting school. My third child is starting school in less than a month and he’s excited AND nervous. I received the DVDs mentioned in exchange for a post. Affiliate links included. I made a calendar and highlighted the day he goes to school on it and every night we have been crossing off the days so he can see how far away it is. Kids usually start school between ages 3-6 and they usually have no concept of how long 3 weeks or 20 days is so a calendar can help them to really see how close it is. There are all kind of movies about school that you can find on DVD or elsewhere. 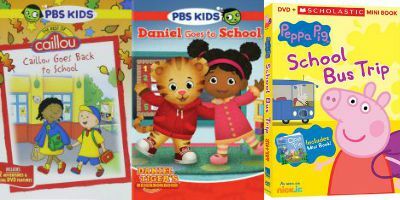 Many of these shows are made for young children such as Caillou Goes Back to School which comes with a book, Daniel Goes to School (Daniel Tiger) and Peppa Pig School Bus Trip. 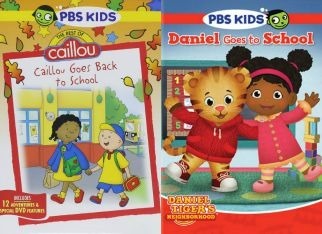 These DVDs are now available in stores and are perfect for the 3-6 year old who is starting school. The Caillou DVD comes with printable colouring pages too which makes for another fun activity and includes 12 episodes. The Daniel Tiger DVD has 8 episodes. The Peppa Pig DVD also comes with a mini book and includes 10 episodes. There are a bunch of books about school for ages 3-6. Ask your librarian for suggestions or check out the library and bookstore displays which around this time of year often feature back to school books. You can also check out my roundup post on my book blog of Picture Books to Get Ready for School. Your child might have questions or concerns about starting school but isn’t sure about asking them. Let your child know that you are there if she has any questions or if he wants to talk about starting school. If he attended a preschool, day care or playgroup, explain how school will be different. If she has never attended any of those, explain what it will be like. Make sure your child knows AHEAD of time that you will not be staying but that you will ALWAYS come back. The first day of school should not be the first time he goes to bed at a new time or wakes up at a new time. She should already be practicing the nighttime and morning routine. If you will be walking to school, walk to school a few times both to see how long it will take and so he gets used to the route. If he will be taking the bus, practice getting ready for school on time and getting to the bus stop. Practice the after school routine too of emptying lunches, handing in papers etc. It should already be a routine before school. 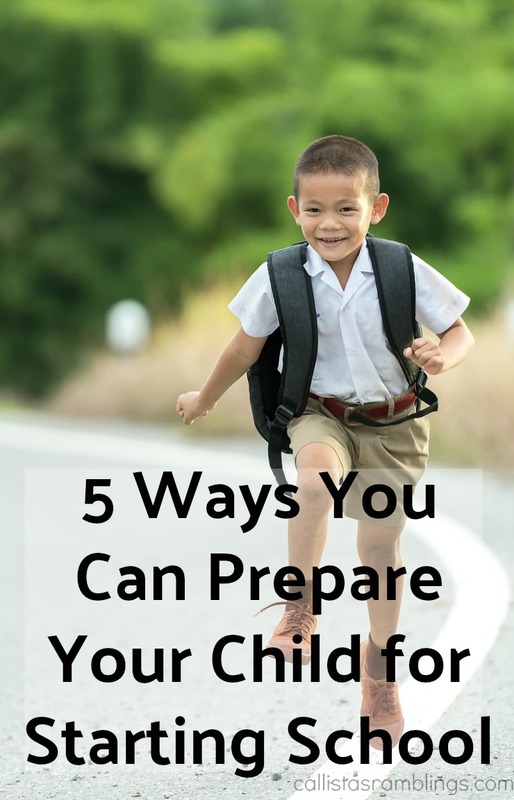 There you go, 5 tips to Prepare for Starting School.